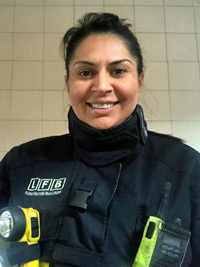 Narinder Dali is a Station Manager for the London Fire Brigade, having joined following a career change from being a personal assistant after having attended an open day in 2002. She now leads two fire stations and manages eight staff, having recently started covering the Borough of Redbridge. Narinder’s role also has a strong emphasis on relationship building and community outreach to keep the people of London safe. I joined the London Fire Brigade 16 years ago when I was 29. I was working as a personal assistant, prior to me joining the fire service. 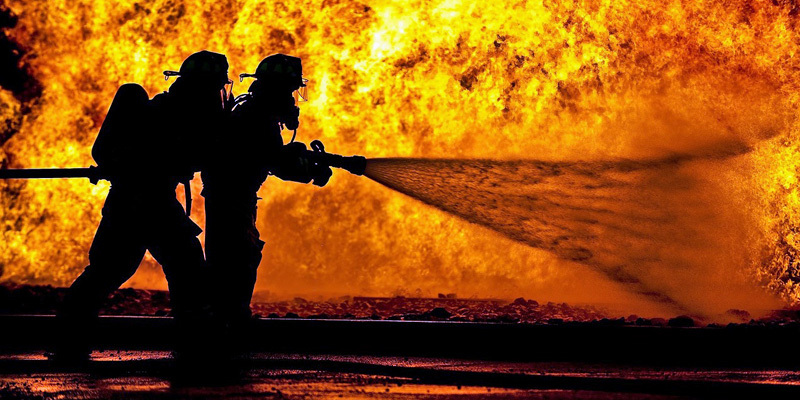 Although I enjoyed it, I just wanted to do something a little bit more interesting and the fire service seemed like the best career path for me. At the time I didn’t know just how many different aspects it would involve – being outdoors with the community as well as working with a team, working on my own as well. So, I successfully got in, I started training, I started going up the career ladder from 2006 and since then I’ve never looked back. I have been fortunate to have been promoted a few ranks and I am now in the role of a station manager. What that means is I lead two fire stations. I currently work in the London Borough of Redbridge and I manage eight watch managers – basically all those teams within that borough. I also go out to meet stakeholders and community partners as well. The fire service isn’t just about answering 999 calls. Today I deal with the strategies and filtering them down, but firefighter roles are slightly different. 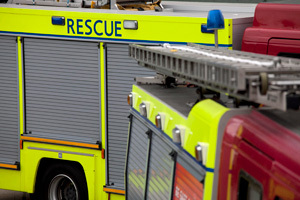 On a day to day basis a firefighter will come on duty in the morning at 9.30am and take over from the previous shift. They’ll do their routines, check the equipment over and make sure that they are operationally ready to go out of the doors if the public need them. There are obviously times when we are not needed for emergencies so then our key focus is on the preventative measures. We go out and fit smoke alarms for everyone in London, focusing on the vulnerable. As well as that we like to educate in schools and nurseries so we can reach youngsters and teenagers. We also go and educate the elderly as well in care homes, sheltered accommodation, and in their own homes. We need them to understand about keeping safe. In the role of the firefighter every day is a different day and you never know what’s ahead of you. One day you could go out to a road traffic collision or deal with a huge fire in a warehouse. We work closely with other blue light services as well – the London Ambulance Service and the police. We assist them with their campaigns and vice versa. As a fire service, we are always looking for new ideas and the latest technology, so we have teams at our headquarters. We also share ideas with other UK fire and rescue services to see what they do which best works for them. It’s about sharing best practice. The ultimate goal is about keeping London safe but we will only do that with a diverse workforce because we have to reflect what London is – one of the most diverse cities in the world. To find out about becoming a firefighter you need to log onto our website – www.london-fire.gov.uk, where you are able to look at current jobs. We are not actually recruiting at the moment but we have a huge campaign coming up in March. The process is quite straightforward but it’s also rigorous. We have thousands of people wanting to join the fire service but we want the very best people, so that’s why we make the process tough. If you’re the right person for the job I’m quite confident that you’ll get through. The minimum age is 17½, there’s no height restriction, so gone are the myths of you have to be over a certain height. You do need to have a good level of fitness and there will be a fitness test, buy anyone can train for that. There’s also a series of written tests, an interview and then you would have a medical at the end of it. If you want to succeed and have the right attitude the opportunities are there for you. Amongst our thousands of operational staff, we have a very small percentage of women and obviously that doesn’t reflect London as a city. Only 7% of the current workforce are female and 12.6% are BAME, we know there is a lot more we can do to promote this fantastic career. A more diverse workforce is a more creative workforce. We can only be a good team if we have different people because we are serving such a diverse city. We allow people to be individuals in London, so we need a mix of people in the London Fire Brigade because that’s how we are going to best serve, but we’re only going to do that if we recruit black and minority ethnic candidates, and women as well. When I first joined it was clearly visible that I was in a minority. However, it has never stopped me from doing my work and it has never stopped others from working with me. We’re all professionals in the London Fire Brigade. I’m treated as a team member. So, just talking to me on the phone, if you didn’t know me, if I didn’t tell you my name was Narinder, I could be anyone, couldn’t I? So yes, the firefighters that we have just treat you as individuals and a team member but obviously being a woman and coming from a Sikh background I’ve got different skills to some of my colleagues, so I use those as much as I can. I speak other languages, I can relate to women. We all come with different skillsets that goes back to if we have a wide range of people they can all use their own skills and we can all deliver better than we are doing at the moment. We are slowly chipping away diversity and inclusion. We are constantly focusing on it but it’s not going to happen overnight. Obviously, when you go to an operational incident in the evening you can be there for a number of hours so it can be tiring – physically and mentally. You’re going to deal with incidents that are traumatic at times, but we have very good support internally as well. They are able to assist us with how we feel and what we are going through. We’ve got strong teams as well in the fire service so we all support each other. I would say that being a woman in the fire service can be challenging, but I try not to look at it like that. I enjoy being myself. #BehindEveryGreatCity is the London Mayor’s campaign which is about the 100th anniversary of women getting the right to vote. Sadiq Khan has launched a huge campaign so we are supporting it to highlight the work that women do in our city day in day out. We are doing a number of open days at weekends at certain fire stations in London. It’s by invitation only. You have to register your details so you can come along and meet firefighters like myself, have a chat with us and see that we are normal people as well! You’ll also be able to take part in some of the fitness tests and to give you an idea of the standards that we require. If you’d be interested in attending you can email us at outreach@london-fire.gov.uk. It’s worked well before. We’ve been doing them for a number of years now but now that we are recruiting again they’re back up and running. I got in, through an open day. I want to tell everyone what a great career it is. Every day is a different day and I almost feel like I don’t work for a living because I enjoy it that much. Over 16 years the job has changed slightly but our vision is still the same. I have just started working in the Borough of Redbridge, and I’m incredibly privileged to be working there because it is the borough in which I was born and educated. I’m working alongside people that I was brought up with, I’m going back to my old schools and my old college to talk to them about a career of a firefighter. It really helps them relate to someone like myself as well. It’s a place that is close to my heart. I love what I do my role as a station manager and I would be keen to further my career path, so I plan on doing that over time. However, for the moment I’m very happy doing what I’m doing. I think you can tell I really like my job, can’t you?